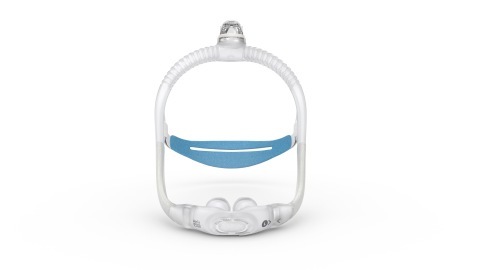 ResMed (NYSE: RMD, ASX: RMD) today introduced its second top-of-head-connected CPAP mask for treating sleep apnea, a new nasal pillows option, AirFit P30i. AirFit P30i fits 90 percent of wearers with just two frame sizes and three cushions, helping home medical equipment (HME) providers fit patients easier and faster. More than 70 percent whose preference was based on mask seal preferred AirFit P30i. AirFit P30i is available today across Europe, Australia, and New Zealand. It will be available throughout the United States and Canada on Monday, April 15, and other countries later this year. The mask joins ResMed’s portfolio of 30-plus CPAP masks, including its popular “tube-down” nasal pillows mask, AirFit P10, winner of the international Red Dot product design award. At ResMed (NYSE: RMD, ASX: RMD) we pioneer innovative solutions that treat and keep people out of the hospital, empowering them to live healthier, higher-quality lives. Our cloud-connected medical devices transform care for people with sleep apnea, COPD and other chronic diseases. Our comprehensive out-of-hospital software platforms support the professionals and caregivers who help people stay healthy in the home or care setting of their choice. By enabling better care, we improve quality of life, reduce the impact of chronic disease and lower costs for consumers and healthcare systems in more than 120 countries. To learn more, visit ResMed.com and follow @ResMed.